I submit this review for Bev’s Vintage Mystery Challenge; Friday’s Forgotten Books meme at Patti Abbott’s fab Pattinase blog; and Kerrie’s Agatha Christie Reading Challenge monthly Blog Carnival. This plot summary (and there is not a lot more to it actually) in no way conveys the tone and approach of this book, which depending on how you look at it, is either utterly wretched or sad, fascinating and moving all at the same time. Tommy and Tuppence constantly rehash things over and over between themselves and all the people they meet, all of whom are constantly vague about absolutely everything. Very quickly one senses that to some degree it’s not just the characters but that even the author has forgotten what she just wrote and so keeps having to start over, time and time again. There are endless vague conversations about the past that regurgitate the few plot points already established (that Mary Jordan may have been a spy about to expose high-ranking men in British intelligence and was probably poisoned and that a young boy in the household where she was staying found out about it). Thus this becomes, very quickly, a truly exasperating read in any traditional sense, taking the reader to a place of confusion from which it soon becomes apparent there will be no possibility of escape. And let’s try and forget the chapter narrated from the point of view of the couple’s dog … And yet, and yet, in its striving for something it can’t grasp any longer, it is hard not to be just a bit impressed by the attempt. This book was dictated into a machine and so may have suffered in the transcription process, as Curt Evans of The Passing Tramp pointed out to me recently. It certainly should have been edited much more judiciously. It is undeniable that the book is very repetitive and one senses, with increasing desolation, that the author is fighting a losing battle to keep it together as sentences go on and on without a break, trying to reach a point that disappears in a puff of smoke, as events are forgotten and re-stated in an effort to briefly find them again. Having said that though, it is a book that can also be unexpectedly moving in its depiction of our heroes coming to terms with old age. One senses that Tommy’s worries about Tuppence’s tendency to be a bit scatty hides a deeper concern, one that many of us will find it all too easy to recognise with aged relatives. By any objective standard, the plotting and narration of Postern of Fate is disastrous – but it does have a somnambulist fascination to it. It undoubtedly represents a massive falling off from the books that had preceded it only a few years earlier, speaking to Christie’s declining health in her final years. Certainly the contrast with Christie’s late peaks Endless Night (1967), By the Pricking of My Thumbs (1968) and Hallowe’en Party (1969) is very stark indeed. So, to enjoy Postern even a little bit does require treating it as a special case, though I can imagine that many readers, even most, won’t have the patience. I did just about manage to muddle through, so thank you Karen for suggesting I go back to it. As frustrating and sad as the process was, I’m glad I did. This entry was posted in 2015 Vintage Mystery Challenge, Agatha Christie, Friday's Forgotten Book, Tommy & Tuppence. Bookmark the permalink. No doubt about it, Sergio, this is far from Christie’s best. There are some scenes in it that worked for me, but you’re absolutely right that it’s far off the quality of some of her other later novels. That said though, I don’t feel in a position to judge too harshly. She’d been writing, and having phenomenal success, since the early 1920s… Thanks as ever for the fine review and for your comments about it. It may not be a good example of her work, but it’s still worth it (at least for me) to put it into the overall Christie picture, so to speak. Thanks Margot – I feel that was you say is true, but in reverse (sic) – I can’t really imagine anyone wanting to read this were it not for the 50 years of activity that preceded it, but it is interesting in its own weird way. Thanks Rich – I’ve seen that too (it’s referred to on the Wikipedia entry in fact) and on the evidence it is easy to see why some might conclude this. Haven’t read this as its reputation put me off – her last few books were patchy anyway as i recall. Haven’t read “Elephants”, though I have a copy, but I remember “Passenger” was extraordinarily poor. Personally, I still have plenty of her mysteries from her best years to get through so I’m not worried about revisiting lesser material right now anyway. Actually, it’s been a while since I read any Christie so I should make an effort to dig into the to-be-read pile some time soon. It’s been a long time now but I recall that as a good one. I have a copy on the shelves right in front of me – this one http://i.imgur.com/0CMvusf.jpg – just looking at it gives me another excuse to indulge in my Pan books obsession. Never come across that copy! very nice and way better than mine. I originally read it in one of those hardback omnibus books that used to be so popular in the 70s and I have a very modern paperback now – if I review it, I’ll have to borrow somebody else’s covers! You are much, much kinder to this book than I ever could be. To call it “unreadable” would be charitable. It’s plot is a shambles from start to finish, and the ending comes right out of nowhere. It is, however, much better than PASSENGER TO FRANKFURT. Passenger to Frankfurt is one of the few Christies I know nothing about, beyond its reputation. I read enough of Postern of Fate to be sad and realise that I didn’t want to read any more. It feels like an unkindess to even have published it. 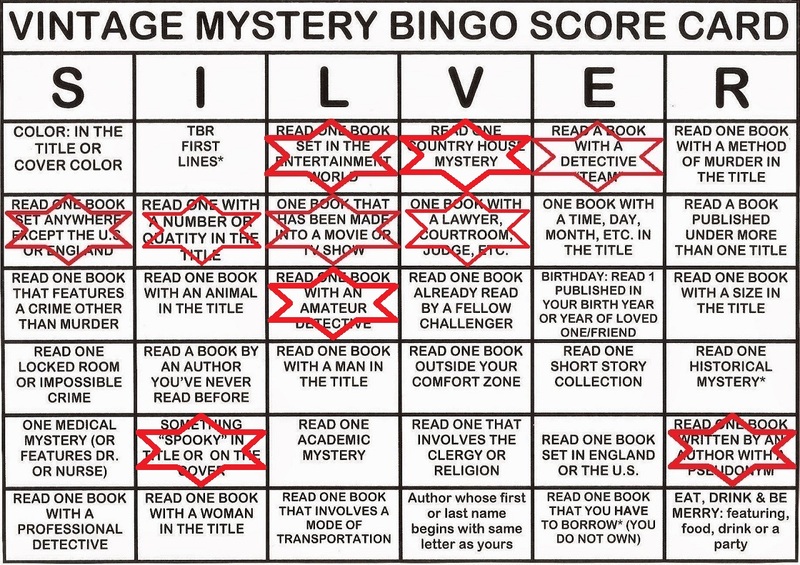 I don’t really see how Passenger to Frankfurt can be worse, but then I guess there are so many criteria against which mysteries can be judged compared to other books. Thanks Patrick (and welcome back old friend – glad they let you out of the seminary occasionally). Believe it or not, Frankfurt was the first book of hers I ever got, probably because it was more or less new when I got it (yup, I’m that old). I still have that paperback at my parents’ place in Italy but I agree, it’s a book I have never, ever tried to go back to! Yes, this is just rubbish, the worst novel of Agatha Christie. Filled with meandering, pointless, repetitive conversations that have nothing to do with the story. I noted a discrepancy here. In chapter 4, there is a reference to Deborah’s twins. But in chapter 16, when Deborah visits her parents with her children, the children’s ages are mentioned as 15, 11, and 7. No twins ! Well, I haven’t anywhere close to reading this book yet, since I am reading in order … but only per series, so I could get through all the Tommy and Tuppence quickly if I wanted to. Did not know any of her books had such a poor reputation. Oh well, I don’t have to decide right now whether I will read it or not. Even more prolific than Carr, Christie was working out of pure professionalism and life-habit, presumably. And even the title ELEPHANTS CAN REMEMBER says something. In his excellent study of Christie,A Talent To Deceive, the late Robert Barnard said simply “Best (and easily) forgotten” when summing up Postern of Fate. My first editor was Christie’s last and she always said that in her later years Agatha had been “difficult” when editorial changes were suggested; “difficult” as in “refused to accept any”. I have yet to find anyone (and I include two Christie biographers) who can explain the plot of Passenger To Frankfurt to me. Thanks for that Mike – well, it explains a lot because you could even improve this one with some editorial work. But it looks like she was unwell, doesn’t it? I don’t envy that editor at all! I read Passenger to Frankfurt (which as I recall was subtitled ‘an extravaganza’ to try and deflect criticism) over 4 decades ago now and I’m really not going to try again – I might get my nieces to try though, they might be able to make ti make sense! Mike, just keep in mind that Mary Jordan did not die naturally! Mary Jordan probably is Passenger to Frankfurt somewhere! Fascinating review, and there’s a lot here I hadn’t taken on board about Postern and Christie’s failing powers. Perhaps I need to revisit it with a slightly more critical eye! It is hard, after 50 years of loyal service, not to feel indulgent towards Christie but truly Karen I’m glad I tried again. But to me it was, while academically interesting, also pretty saddening. It really was like listening to a person whom you love and realising they are really not able to communicate properly any more and chances are that you are not ever going to get through to each other ever again. So sad – and even though you are grateful for the remnants that remain, they also remind you of what has been lost too. Just how long has it been since you read it, Karen? Ah … fair enough, Karen. I am glad I took your suggestion, but do not think I would want to pick it up again, not for pleasure, only if I wanted to really study it and pull it apart and see what is (and is not) going on. It’s much harder to review this book fairly and interestingly than it is to review most books, and I’m tempted to say yours is the most balanced and assessment of Postern in Fate that I’ve ever read. Well, that’s really generous! Thanks Martin. It was certainly a very interesting experience looking at it again after such a long time, now that I’m so much older. Like you, I’ve found the later Agatha Christies to be “weak.” It may have been the affect of Alzheimer’s or dementia. Her best work was written in the 1940s. You may well be right George – certainly in the 40s the characterisation seems very strong, though must say, the plots that I remember best seem to pretty much all come from the 1930s (ABC, Nile, Orient Express, And The There Was None). The species still being what we are. I have an occasional feature in my blog where I take apart a bad mystery that you should “die before you read”, but I’ve always felt hesitant about taking on this fairly obvious candidate. As our host says, it is hard not to feel indulgent after 50 years of loyal service and the deficiencies of this novel are sufficiently well-known so as to not need my … tuppence. Mike Ripley makes an interesting point about Christie resisting editorial changes. As an editor, there is little point in quarrelling with the world’s best-selling author about structural problems in her latest book when you can simply put anything she writes between covers and sell a few million of them anyway. It’s easy to see what happened here; not even cowardice, just going along to get along. Someday I’d like to take the time to do a really thorough analysis to find out if there are any concealed treasures in this book, but … it’s safe from me for the moment. There are many more pleasant experiences left to be had in GAD; I don’t need to dig through Christie’s wastepaper baskets. I’m glad to know that someone finds merit and pleasure in this novel! Thanks Noah. I agree, this might leave rather a bad taste in being picked apart if we accept that this is a work by someone who is simply not well. Picking apart the best that someone could do at the time might just be cruel – there are academically interesting things here, but getting there is saddening, no question about it. I’ve read PASSENGER TO FRANKFURT a couple of times over the years, didn’t think it was horrible. I liked the beginning in the airport. Reminded me of a scene in her very early THEY CAME TO BAGHDAD – the man in the cloak at the airport. Similar impersonation happens later in the Baghdad book as well as the death of the original person in the cloak which does not happen in the Frankfurt book, but still similar. I don’t mind that sort of thing happening at all. Though the ending never made any sense to me – the bad guy unveiled, I mean. If he was there all the time and knew what was happening all the time how did such and such a thing still manage to happen? Know what I mean? But still, the book worked for me on the level of far-fetched adventure. I think Christie didn’t like what she saw happening in her country and this was a way of writing about it without preaching. I was always intrigued by the corruption of youth theme which seemed to course through her later books. I’ve read every single Christie book including the short stories (of which I remember nothing) – I began when I was in my teens in ancient times of long ago. 🙂 I do remember my favorites of course and POSTERN OF FATE is NOT among them. Thanks for another thoughtful and incisive review, kiddo. PS I refuse to watch the new Tommy and Tuppence shows – the casting is dreadful. I’d rather watch the original shows with James Warwick and Francesca Annis. I always ask this: did any of the latest adapters even bother to read the source material? Thanks for that Yvette – like you, i tried watching the new TV adaptation and gave up after 2 minutes (literally). 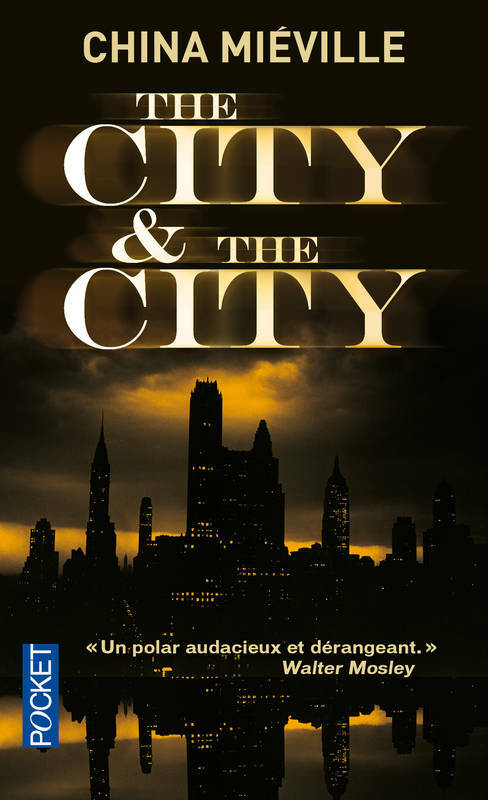 The scriptwriters have been attacked for adapting the books so loosely – their defence is that they want to make ti relevant to modern audiences and that it was all done with the full consent of the Christie estate … I think that is probably true but also a bunch of baloney (as it were) – they just used the Christie name to sell it. They should have just called it something else, there is just too little of the original left. They really don;t care about the novels at all, that is abundantly clear. The real problem is that the series doesn’t seem to work on its own terms, which is the only flaw that I really consider fatal. Is there anything to which the Christie estate won’t consent? To me what was interesting was the sense that this was the party line to take in terms of PR – not really getting into why the changes were made, just noting that the the brand owners consented to it. It wouldn’t have to matter either way, to me, if only they’d done a better job! The Marple version of By the Pricking of My Thumbs, a book I really like and which changed a lot as well as adding St Mary Mead’s favourite knitter, was to my mind a success as they made it work on their own terms. That’s a sensitive and thoughtful review Sergio. I agree with Martin, above, and am glad Lucy found more in it than most people would. I think I have read everything she wrote, and often re-read, but would always pick up another one rather than Postern of Fate. 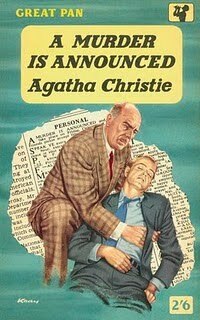 It’s strange, I have been re-reading some Christie recently A MURDER IS ANNOUNCED (great). CLOCKS (disappointing). And currently THE MURDER OF ROGER ACKROYD (which I am enjoying all the more now I know the murderer’s identity). But POSTERN OF FATE still sits on the shelf unread. Obviously I know of the books reputation but maybe I have subconsciously not read it because I don’t want to witness Christie’s fading powers. A thoughtful review thank you. Thanks Steve – I think one should only come to this last. I agree with your assessment of the Christies you mention and there are probably at least two dozen top notch ones like Death on the Nile, Towards Zero, And Then There Were None, Murder on the Links, 4.50 from Paddington et al, just no point reading Postern out of chronological sequence. And yes, I say that as someone who has pretty much read them all and enjoyed most of them (I agree, The Clocks is disappointing). Sergio, I always enjoy reading reviews of Agatha Christie’s novels and this was a very fine review. I’m not much of a fan of Tommy and Tuppence though I’ll be reading this book eventually, in spite of the issues with editing, plotting, and narration, which came as a surprise to me. I’ll have to ask my wife about it as she is a huge Christie fan, having read most of her books multiple times. Thanks Prashant – I think it’s worth reading, but am glad to read this again as an adult after having read pretty much all her stuff. 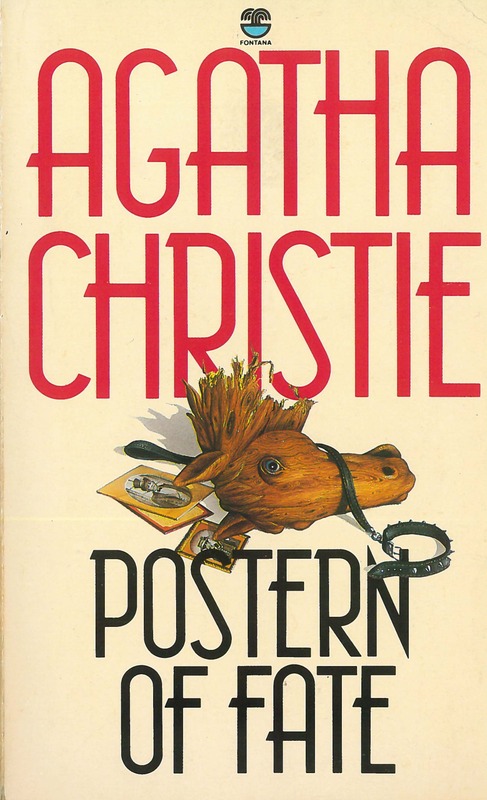 It is best to avoid the last 4 novels written by Christie: Passenger To Frankfurt, Nemesis, Elephants Can Remember and Postern Of Fate. The decline in quality is evident in these 4 novels. There are good things about Nemesis and the TV version with Joan Hickson was excellent. The story was expanded to good effect. Thanks Lucy. I think, on the whole, that this was a case where I preferred that TV version with Joan Hickson (the more recent adaptation with Geraldine McEwan was utterly bonkers however). Yeah I would agree, Postern of Fate is not a good outing for Tommy and Tuppence. The first three novels (The Secret Adversary, Partners in Crime and N or M?) are much stronger (and thankfully are nothing like the BBC’s recent adaptation). Still I don’t think Postern of Fate is the poorest Christie as I think Passenger to Frankfurt is much worse and makes even less sense. The dialogue was so excruciating, I was actually glad when someone else reserved my copy. Really dull- which was disappointing, given that the plot was initially exciting. I also enjoyed N or M. But I despise Tuppence Beresford. I’d a mind to shoot her myself whilst reading this. Her dialogue was the main bone of contention I had and much of it bored me to tears. Thanks for this! I was so sorry that neither Mr Robinson nor the Colonel turned out to be the bad guy. I thought there were enough clues for the latter to be it, didn’t you? Agatha Christie should have stopped writing when her faculties began to go. Her publishers and loved ones should have seen to it that she stopped. It wasn’t as if she was poor and needed the money, she had everything she wanted by then. She should have stopped writing when she was still a master of it, with grace and dignity. Her last works were atrocities, and a waste of time for readers. Thank you for your sympathetic review. I have just waded though Postern ot Fate – thinking I was beginning to lose my faculties as I read and then re-read and went back over earlier chapters to try and make sense of plot twists – inconsistencies and red herrings. It was the most frustrating of all the Christie’s I have read and you have provided the explanation . If this was being dictated – she was not aware of how much repetition was occuring – the maddening lack of answers – why was the shed called KK?, what was the actual secret that was worth killing Tuppence and old Isaac for? The fact that we reach the end none the wiser except for ominous pronouncements on the always present nature of evil and the lust for power is also frustrating. But your review has cast the book in a new light as the last struggling attempts by the author to express her fears for our society and the values she held dear. One can only feel sympathy for Christie and also for her editor . THanks to other commentators for their insights too.Despite all this there are some lovely moments in the book and a glimpse into Christie’s own childhood.Read in this light – it is worth a try.